The importance of having your renovations made by experts! For a Satisfying Result …Open Your Doors and Windows to the Experts of Fenêtres Magistral! Look outside and see clearly … it’s good for your health. 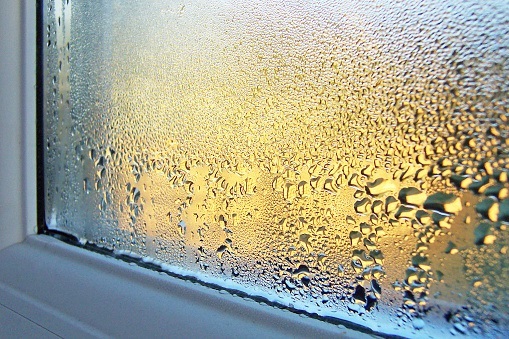 When your doors and windows are not as efficient as they should be, allow heat to seep outside, and external noises to penetrate inside, it is time to change them. As the saying goes, an ounce of prevention is worth a pound of cure. To fully benefit from their characteristics and get the greatest efficiency from your doors and windows, it is best to call upon professionals to install them. Time! Let’s say you’re a good handyman, but no more. You will probably succeed in installing your windows and doors properly, but how long will it have taken? Not to mention the mess that you will have left behind to clean up. In addition, the guarantee offered by professionals saves you a lot of trouble should you run into a glitch. The Expert Installer Knows the Products .. Beyond the question of aesthetics, the installation of a door or window must fulfill other criteria, such as waterproofing, insulation, optimal energy efficiency, as well as functionality over time. Today, windows consist of double or triple glazing, are energy efficient (or of low emissivity), hybrid, and have many other characteristics. Professional installers are best qualified to correctly and tidily install your quality products. And remember, the installation comes with guarantees that cover contingencies. You’ve chosen your new windows and the trendy front door that you’ve had your eye on for a long time? It qualifies for the new RénoVert tax-credit program, among others, for the replacement of, or in addition to, other doors, windows, or skylights qualified as ENERGY STAR models appropriate for the climate zone in which the dwelling is located. This refundable credit is equal to 20% of the amount exceeding the first $2,500 invested for the installation by qualified contractors. For example, for a cost of $7,500, you would get a refund of $1,000. The RénoVert tax credit is a temporary measure to encourage you to make eco-friendly home renovations. Interested in doing renovations ? Contact our experts here at Fenêtres Magistral. We’ll be happy to evaluate your project with you! By Chantal Roy|2016-08-15T15:32:35+00:00May 31st, 2016|Categories: Blog|Tags: installation doors, installation windows, renovation doors, renovation windows, rénovations, rénovert, renovert credit|Comments Off on Discover the importance of having your renovations made by experts!